In order to ensure uptime, minimize service disruption and extend the lifetime of its centrifugal separators, Grandi Navi Veloci (GNV) has signed a Performance Agreement with Alfa Laval. 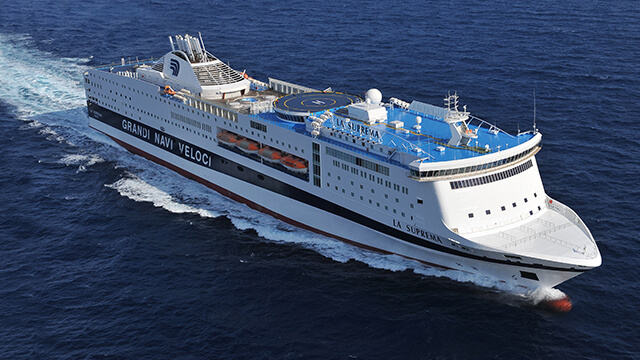 Continuous operation is critical to GNV, an Italian passenger and freight ferry company with a fleet of seven ferries. The success of its 13 different routes in the western Mediterranean Sea is dependent on the on-time delivery of passengers and goods, which is why preventive mainte- nance makes good business sense. GNV and Alfa Laval have long enjoyed a business relationship. But when economic crisis put pressure on the shipping industry, GNV tried non-original parts and service as a cost-cutting measure for a number of years. The result, however, was higher costs and increased challenges. That expe- rience was one of the reasons for entrusting Alfa Laval with a Performance Agreement. Under the Performance Agreement, Alfa Laval has full responsibility for the preventive maintenance of 49 Alfa Laval separators. This includes 23 Alfa Laval fuel oil separators, comprising eight Alfa Laval SU 600, nine Alfa Laval FOPX 613 and six Alfa Laval FOPX 611 units. It also includes 26 Alfa Laval lube oil separators, comprising eight Alfa Laval SU 600 and 18 Alfa Laval LOPX 707 units. All service intervals are included in the agreement, as well as spare parts and training. The Alfa Laval preventive maintenance service includes well-planned mainte- nance activities every 12 months or 8,000 operating hours on the FOPX and LOPX separators, and every 18 months or 12,000 hours on the S separators. The service involves the renewal of lubricating oil and all wear parts included in the service kits, such as friction elements, seals and bearings. Under the terms of the agreement, Alfa Laval engineers go on board to inspect and fine-tune each separator at each of the pre-determined intervals. ing the performance of the equipment. The Performance Agreement covers the required man-hours, service kits, genuine spare parts and, if necessary, emergency visits to keep the separators performing optimally without service interruption. With this arrangement, GNV can count on exceptional separator performance and unmatched reliability – yet its maintenance costs remain fixed.